Wow, two great Variety assignments in a row! First, writing about the year’s first stunning score, John Powell’s How to Train Your Dragon: The Hidden World. 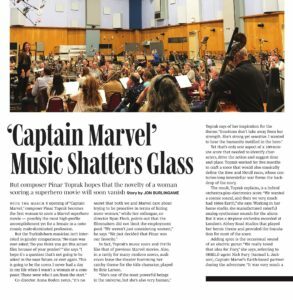 And now, the chance to preview Pinar Toprak’s memorable music for Captain Marvel, which opens Friday. It’s a landmark moment not only because Toprak is the first woman to score a Marvel film, but its likely box-office success will shine new light on the unfortunate statistics about gender bias in film scoring. And the film’s huge opening weekend instantly made her the most successful female composer, box-office-wise, in American movie history. I used that statistic as a jumping-off point for a discussion of what this may mean for other women in film music. 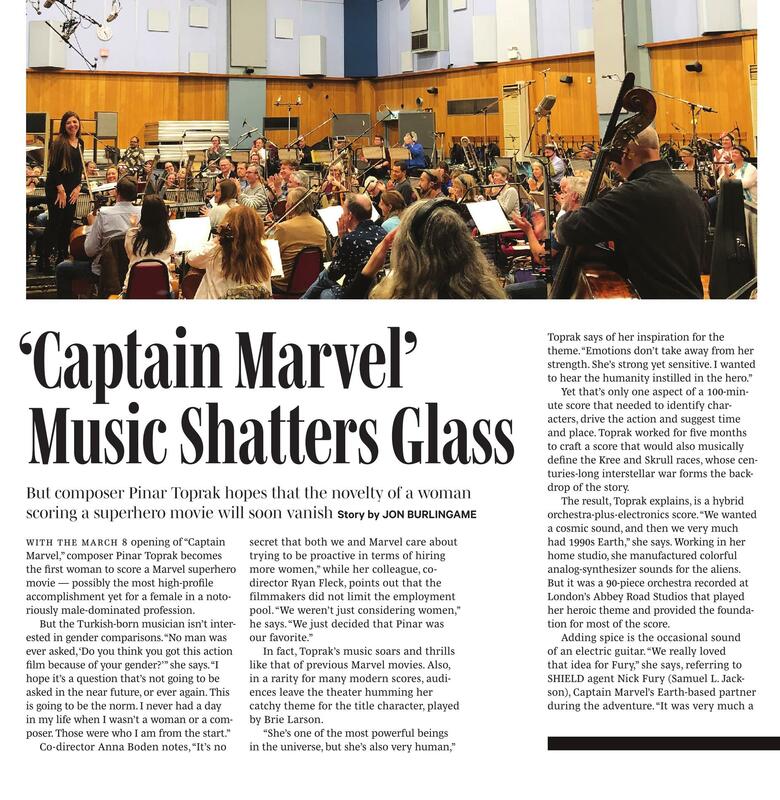 This entry was posted in Composers, Film Music, Interviews and tagged Captain Marvel, female composers, music in Captain Marvel, Pinar Toprak, Variety, women composers on March 5, 2019 by Jon Burlingame. British experimental-pop musician Mica Levi is only the fourth woman to be nominated for “original score” at the Academy Awards. Her music for Jackie, bold and even startling as applied by director Pablo Larrain, has won attention throughout this awards season. I interviewed her while she was on tour with her band in Europe, and Variety published the Q&A in this week’s Contenders Extra Edition. This entry was posted in Composers, Film Music, Interviews and tagged female composers, Jackie, Mica Levi, Oscar music, Oscar nominated composer, Variety, women composers on February 16, 2017 by Jon Burlingame. 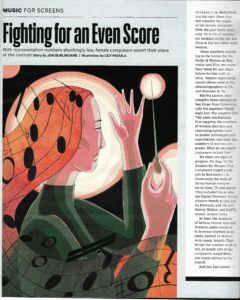 Over the years, I’ve written a number of stories about women composers and why they aren’t hired more often for studio films. Despite the grim statistics, things are changing, partly because of the creation of the Alliance for Women Film Composers, but also due to the Academy’s diversity push (which led to a boost in female members of the music branch this year) and the election of Laura Karpman as the first woman governor representing music on the Academy board. I examine all of these developments in the lead story for this week’s Music for Screens issue of Variety. Related story: Friday’s landmark concert in downtown Los Angeles featuring 20 women film and TV composers. Also in the current Variety: a story about the ASCAP Film Scoring Workshop for young composers. This entry was posted in Composers, Film Music, Interviews and tagged Academy of Motion Picture Arts and Sciences, Alliance for Women Film Composers, Doreen Ringer Ross, female composers, Grand Performances, Laura Karpman, Miriam Cutler, Variety, women composers, women film composers, Women Who Score: Soundtracks Live on August 25, 2016 by Jon Burlingame.